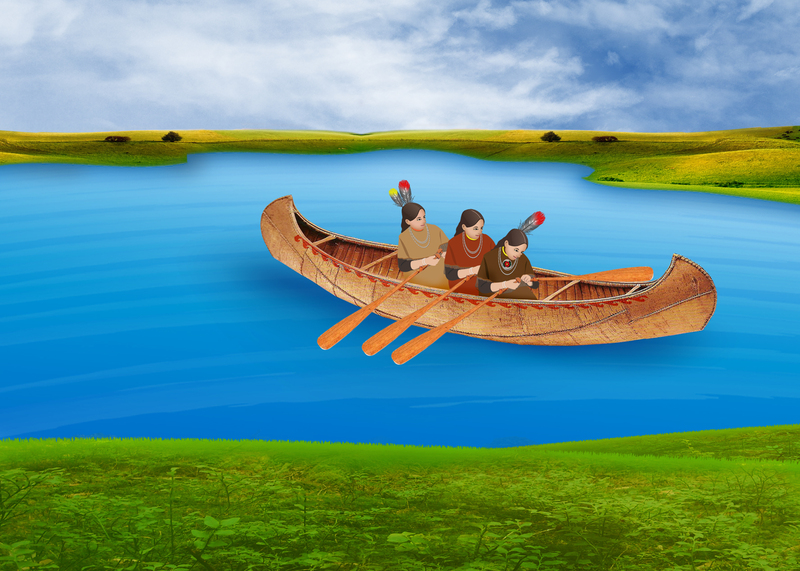 The Ojibwe are featured in our games Fish Lake, Making Camp and Forgotten Trail. But who are the Ojibwe? Read on to learn a little more about the tribe – and then play our games to learn even more about them (while learning math too)! The Ojibwe are part of the Anishinaabe people. The Ojibwe are also known as Chippewa or Ojibwa. Following the Ojibwe Migration (check out Forgotten Trail to learn more about the history of the Ojibwe’s cross-continental movement! ), the Ojibwe people settled in Michigan, Wisconsin, North Dakota, Minnesota and Ontario in Canada. They are one of the largest groups of Native Americans in North America with a population of over 170,000 Ojibwe in the U.S. alone! Unfortunately, the Native Ojibwe language, Anishinaabemowin, is considered “severely endangered.” However, efforts are being made on a number of language revitalization projects and or language programs in hopes of keeping the language alive. Just like with any language, there are regional differences in words and pronunciations within the language. Keep an ear out for some Ojibwe words in Fish Lake and Forgotten Trail. The Ojibwe had defined roles when it came to work done by men and women. Women were in charge of taking care of the home and the farming. They cared for the children and prepared food in addition to tending to crops and planting seeds. Men were hunters and would sometimes be gone for long stretches of time. Men also fought in wars against “settlers” who were trying to take Native lands and other nations to protect their families and homes. Birchbark was incredibly important to the Ojibwe. Birchbark was used for a variety of things from utensils to canoes. The birchbark canoes were a signature of the Ojibwe since they would make them in different sizes and were much lighter than the dugouts used by other tribes. Scrolls were also made out of birchbark. 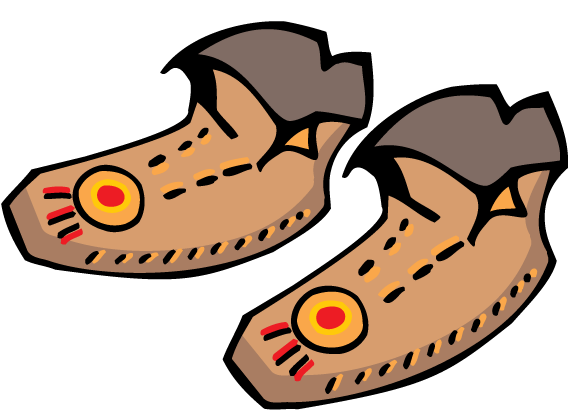 The Ojibwe would write their teachings using pictographic writing, where they would use pictures and symbols rather than words. The Ojibwe had a close alliance with the French. The French would often trade fur with the Ojibwe, some French traders even married Ojibwe women and adopted their culture – from which Metis culture evolved. The Ojibwe sided with the French during the French and Indian War against the British. But, the drama between the British and Ojibwe would be short-lived as they would join the Brits in their fight during the American Revolution. Ojibwe: Older Brother, keepers of the faith- the hunters and fisherman. Odawa: Middle Brother, keepers of the trade- great craftsman and traders. Potawatomi: Younger Brother, keepers of the fire- successful farmers and medicine men.